Boston Marathon - Scoops on the Training,Qualifying Times,the Route,History of the Boston Marathon. Boston Marathon - Oldest annual Marathon in Boston, Massachusetts. Boston Marathon is the worlds oldest yearly marathon held in Boston, Massachusetts. On a tough course, route at the date every year of Patriot's day - the third Monday of April; this is a real test of marathon running. To get into the Boston Marathon you need to meet qualifying times to be allowed to race it - or you can enter through one of the local charities. and the general training schedule, program tips for the Boston Marathon. Marathon training for Boston needs to be planned well because of its special considerations. Also, you will find some tips on the Boston weather (can be quite rainy in April) and small bits about the Boston areas sights to see. New ! Share and read about other visitors Boston experience. Just click on the link below to take you to the info at the bottom of this page. Click to share a review, your favorite Boston Marathon tips, with visitors to this page! John Graham, a member of the 1896 Olympics American team, was very impressed with the marathon - with the purity of the race, and he suggested to the Boston Athletic Association (of which he was a member) that they sponsor such a race. It took a bit of organizing, but finally, on April 19th, 1897 (Patriot's Day) the first marathon was run in Boston. Initially, until 1924, the course ran from Metcalf's Mill in Ashland to the Irving Oval in Boston. By then, the race had been lengthened to twenty-six miles, and a longer marathon route was needed. So, the 1924 race started in Hopkinton, where it remains to this day. Due to the large crowds, the Boston transit authority suspends service to the square for that day - and there is total road closure. It is 16 min and quite long, but gives you a great view on the Boston Marathon Route. "Is Boston a marathon for you ?" The oldest annual. Boston has a looong history. If you have the qualifying time, easy to get into. Hills will challenge you. If you are up for a challenge, Boston is IT for you. Spring in Boston. Fair accomodation prices and wonderful running. You need to be fast. Even to get into it. About 3.10 for mens in recent races. Not a PR setting course. Like New York Marathon, add to it about 5-10 minutes. Weather can be a factor. But not always. All of this is explained in the text below. First up is a few thoughts on the training for Boston Marathon. Many runners consider the Boston Marathon to be one of the most difficult in the world, even tougher than the New York City Marathon. The winners, top runners as well as the average marathon runner would agree with this. It all has to do with those infamous "Newton Hills" near Boston College. The so called "Heartbreak Hill" has become legendary for marathon runners entering Boston. Ironically, the four hills are not all that big. But you find them coming between mile twenty and twenty-one of the race, a lot of runners are pretty tired by then, and even a series of mild hills can break them. Yet, people keep coming back year after year. Many see the race as John Graham did, as a simple, pure athletic competition, and they revel in that. Women were allowed to race in 1972, although Roberta Gibb slipped into the race as early as 1966 by just hiding near the start line. And in 75, the first wheelchair contestants competed. If you are raining for Boston ? Do it like training for New York, but maybe some strength work in there. You got to take care of those hills in your training program. And because the hills are tougher than in New York, you may even want to add in there some muscular strength work for general marathon fitness. I will write some more about that later. In addition to that - if it fits, it is wise to throw in there some late winter half marathons to have the system ready for a full spring marathon. Like the New York marathon, you want to be prepared for Boston. Now then, how can I enter the Boston Marathon ? For older runners these times are adjusted. 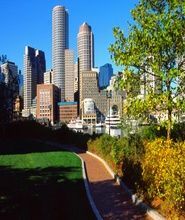 In terms of the area, you could not find a better place to run than Boston and its surrounding area, or a better time to do it. April, spring in New England is truly lovely. For Boston running and in general. Especially if you are able to find accommodations, hotels in some of the more quiet spots. The colors and scents of new growth are nourishing to the soul; and then there are the historic sights to see. Boston has the Bunker Hill Monument, "Old Ironsides" - the USS Constitution down in the harbor, the swan boats, and beautiful Boston Common. To just name only a few. You can also head out to Lexington and Concord to see their Revolutionary War sites; Walden Pond, where Thoreau lived for a time, or go canoeing on some of the picturesque rivers of the area. As if that is not enough, there is Plymouth Plantation, Old Sturbridge Village, the Whaling museum of New Bedford, and the lovely Cape Cod area to see. Granted, getting to some of these places requires driving, but none is more than an hour or two from Boston ; so it is hardly a long trip. Do You Have a Story From the Boston Marathon ? Have You Run The Boston Marathon Before ? What was your whole Boston experience like ? Did you like the route/course ? 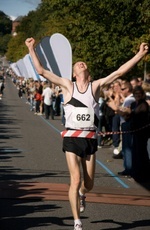 How did you prepare, what kind marathon training did you do and how did you finish ?